This article is about the historical region. 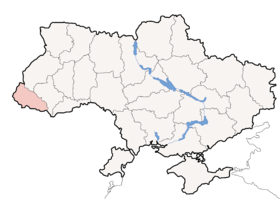 For the autonomous state that existed from 1938–39, see Carpatho-Ukraine. 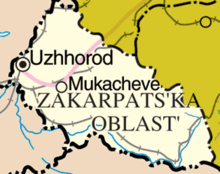 For the modern Ukrainian region, see Zakarpattia Oblast. 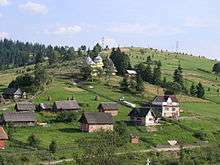 Carpathian Ruthenia, also known as Transcarpathian Ruthenia, Transcarpathian Ukraine, Transcarpathia, Rusinko, Subcarpathian Rus′, Hungarian Ruthenia or Subcarpathia,[A 1] is a historical region in Central Europe. The nomenclature of the region depends on nationality, language/dialect, geographical perspective and political point of view. 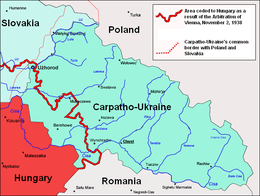 The name Carpathian Ruthenia is sometimes used for a contiguous cross-border area of Ukraine, Slovakia and Poland occupied by members of the Rusyn minority. Most Rusyns, however, use the term Zakarpattia (Trans-Carpathia; literally "beyond the Carpathian mountains"). This is contrasted implicitly with Prykarpattia (Ciscarpathia; " Near-Carpathia), an unofficial region in Ukraine, to the immediate north-east of the central area of the Carpathian Range, and potentially including its foothills, the Subcarpathian basin and part of the surrounding plains. Under suppression of Ukraine some Ruthenians and Hungarians had to identified themselves as Ukrainians, Carpathian Ruthenia is usually known as Transcarpathia. From a Hungarian, Slovak and Czech perspective the region is usually described as Subcarpathia (literally "below the Carpathians"), although technically this name refers only to a long, narrow basin that flanks the northern side of the mountains. During the period in which the region was administered by the Hungarian states it was officially referred to in Hungarian as Subcarpathia (Hungarian: Kárpátalja) or North-Eastern Upper Hungary. The Romanian name of the region is Maramureş. Romania includes the southern Maramureş region, on the south bank of the Tisa river. The name of the mountains themselves is "Carpații Păduroși" which means "Wooden Carpathians". The main city of the Romanian Maramureş region is Sighetu Marmației. During the period of Czechoslovak administration in the first half of the 20th century, the region was referred to for a while as Rusinsko (Ruthenia) or Karpatske Rusinsko, and later as Subcarpathian Rus (Czech and Slovak: Podkarpatská Rus) or Subcarpathian Ukraine (Czech and Slovak: Podkarpatská Ukrajina), and from 1927 as the Subcarpathoruthenian Land. (Czech: Země podkarpatoruská, Slovak: Krajina podkarpatoruská). 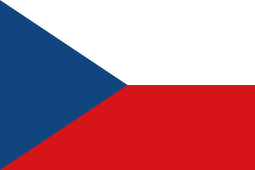 Alternative, unofficial names used in Czechoslovakia before World War II included Subcarpathia (Czech and Slovak: Podkarpatsko), Transcarpathia (Czech and Slovak: Zakarpatsko), Transcarpathian Ukraine (Czech and Slovak: Zakarpatská Ukrajina), Carpathian Rus/Ruthenia (Czech and Slovak: Karpatská Rus) and, occasionally, Hungarian Rus/Ruthenia (Czech: Uherská Rus; Slovak: Uhorská Rus). The region declared its independence as Carpatho-Ukraine on March 15, 1939, but was occupied by Hungary in March 15–18, 1939, and remaining under Hungarian control until the German occupation of Hungary in 1944. In 1945, most of the region was annexed by Soviet Union and subsequently incorporated into the independent state of Ukraine. The region has subsequently been referred to as Zakarpattia (Ukrainian: Закарпаття) or Transcarpathia, and on occasions as Carpathian Rus’ (Ukrainian: Карпатська Русь, translit. "Karpats’ka Rus’"), Transcarpathian Rus’ (Ukrainian: Закарпатська Русь, translit. "Zakarpats’ka Rus’"), Subcarpathian Rus’ (Ukrainian: Підкарпатська Русь, translit. "Pidkarpats’ka Rus’"). Carpathian Ruthenia rests on the southern slopes of the eastern Carpathian Mountains, bordered to the east by the Tisza River, and to the west by the Hornád and Poprad Rivers, which borders Poland, Slovakia, Hungary, and Romania, and makes up part of the Pannonian Plain. Slavic tribes began to migrate from their Transcarpathia homeland in the 4th century. In 896 the Hungarians crossed the Carpathian Range and migrated into the Pannonian Basin. Anonymus chronicle and Nestor chronicle wrote that Hungarian tribes had to fight against local Slavs and Vlachs when on their way to Pannonia. Prince Laborec fell from power under the efforts of the Hungarians and the Kievan forces; many of these forces remained behind and were assimilated by the White Croats. As the Hungarians established the borders of Kingdom of Hungary along the Carpathian Mountains, many of the local inhabitants were assimilated. Local Slavic nobility often intermarried with the Hungarian nobles to the south. Prince Rostislav, a Ruthenian noble unable to continue his family's rule of Kiev, governed a great deal of Transcarpathia from 1243 to 1261 for his father-in-law, Béla IV of Hungary. The territory's ethnic diversity increased with the influx of some 40,000 Cuman settlers, who came to the Pannonian Basin after their defeat by Vladimir II (Monomakh) of Kiev in the 12th century and their ultimate defeat at the hands of the Mongols in 1238. During early period of Hungarian administration, part of the area was included into the Gyepű border region, while other part was under county authority and was included into counties of Ung, Borsova and Szatmár. Later, the county administrative system was expanded to whole Transcarpathia and the area was divided between counties of Ung, Bereg, Ugocsa, and Máramaros. In the end of the 13th and beginning of the 14th century, during the collapse of the central power in the Kingdom of Hungary, the region was part of the domains of semi-independent oligarchs Amade Aba and Miklós Pok. From 1280 to 1320, north-western part of Carpathian Ruthenia was part of the Kingdom of Galicia–Volhynia. From 1526, the region was divided between Habsburg Monarchy (i.e. its Habsburg Kingdom of Hungary) and Eastern Hungarian Kingdom. Beginning in 1570, the region was divided between the Habsburg Monarchy and vassal Ottoman Principality of Transylvania. Part of Transcarpathia under Habsburg administration was included into the Captaincy of Upper Hungary, which was one of the administrative units of the Habsburg Kingdom of Hungary. During this period, an important factor in the Ruthenian cultural identity, namely religion, came to the fore. The Unions of Brest-Lytovsk (1595) and of Uzhorod (1646) were instituted, causing the Byzantine Orthodox Churches of Carpathian and Transcarpathian Rus' to come under the jurisdiction of Rome, thus establishing so-called "Unia", or Eastern Catholic churches in the region, the Ruthenian Catholic Church and the Ukrainian Greek Catholic Church. In the 17th century (until 1648) the entire region was part of Transylvania, and between 1682 and 1685, its north-western part was administered by the vassal Ottoman Principality of the prince Imre Thököly, while south-eastern parts were administered by Transylvania. From 1699, the entire region was part of the Habsburg Monarchy and was divided between the Habsburg Kingdom of Hungary and the Habsburg Principality of Transylvania. Later, the entire region was included into the Habsburg Kingdom of Hungary. Between 1850 and 1860 the Habsburg Kingdom of Hungary was divided into five military districts, and the region was part of the Military District of Košice. After 1867, the region was administratively included into Transleithania or Hungarian part of Austria-Hungary. 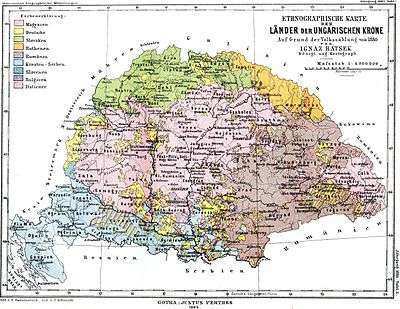 In 1910, population of Transcarpathia included 605,942 people, of which 330,010 (54.5%) speakers of Ruthenian/Ukrainian language, 185,433 (30.6%) speakers of Hungarian language, 64,257 (10.6%) speakers of German language, 11,668 (1.9%) speakers of Romanian language, 6,346 (1%) speakers of Slovak/Czech language, and 8,228 (1.4%) speakers of other languages. 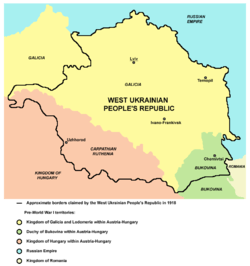 After World War I, the Austro-Hungarian Monarchy collapsed and the region was briefly (in 1918 and 1919) claimed as part of the independent West Ukraine Republic. However, the region was, for most of this period controlled by the newly formed independent Hungarian Democratic Republic, with a short period of West Ukrainian control. On November 8, 1918, the first National Council (the Lubovňa Council, which was later reconvened as the Prešov Council) was held in western Ruthenia. The first of many councils, it simply stated the desire of its members to separate from newly formed Hungarian state, but did not specify a particular alternative — only that it must involve the right to self-determination. Over the next months, councils met every few weeks, calling for various solutions. Some wanted to remain part of Hungarian state but with greater autonomy; the most notable of these, the Uzhhorod Council (November 9, 1918), declared itself the representative of the Rusyn people and began negotiations with Hungarian authorities, resulting in the adoption of Law no. 10, making four of the Rusyn counties autonomous. Other councils, such as the Carpatho-Ruthenian National Council meetings in Khust (November 1918), called for unification with a Ukrainian state. It was only in early January 1919 that the first calls were heard in Ruthenia for union with Czechoslovakia. Prior to this, in July 1918, Rusyn immigrants in the United States had convened and called for complete independence. Failing that, they would try to unite with Galicia and Bukovyna; and failing that, they would demand autonomy, though they did not specify under which state. They approached the American government and were told that the only viable option was unification with Czechoslovakia. Their leader, Gregory Zatkovich, then signed the "Philadelphia Agreement" with Czechoslovak President Tomáš Masaryk, guaranteeing Rusyn autonomy upon unification with Czechoslovakia. A referendum was held among American Rusyn parishes, with a resulting 67% in favor. Another 28% voted for union with Ukraine, and less than one percent each for Galicia, Hungary and Russia. Less than 2% desired complete independence. In April 1919, Czechoslovak control on the ground was established, when Czechoslovak troops acting in concert with Romanian forces arriving from the east - both acting under French auspices - entered the area. In a series of battles they defeated and crushed the local militias of the newly formed Hungarian Soviet Republic, whose proclaimed aim was to "unite the Hungarian, Rusyn and Jewish toilers against the exploiters of the same nationalities". Communist sympathizers accused the Czechoslovaks and Romanians of atrocities, such as public hangings and the clubbing to death of wounded prisoners. This fighting prevented the arrival of Soviet aid, for which the Hungarian Communists hoped in vain; the Bolsheviks were also too preoccupied with their own civil war to assist. 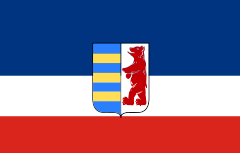 Transcarpathia, as well as a broader region, was occupied by Romania from April 1919 until July or August 1919, and then was again occupied by Hungarian state. The Hungarian left-wing writer Béla Illés claimed that the meeting was little more than a farce, with various "notables" fetched from their homes by police, formed into a "National Assembly" without any semblance of a democratic process, and effectively ordered to endorse incorporation into Czechoslovakia. He further asserts that Clemenceau had personally instructed the French general on the spot to get the area incorporated into Czechoslovakia "at all costs", so as to create a buffer separating Soviet Ukraine from Hungary, as part of the French anti-Communist "Cordon sanitaire" policy, and that it was the French rather than the Czechoslovaks who made the effective decisions. 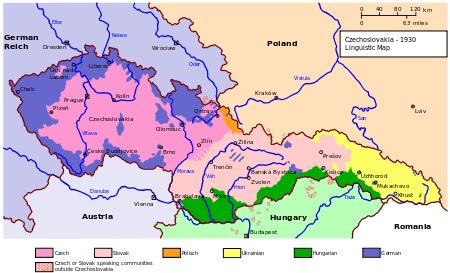 The Article 53, Treaty of St. Germain (September 10, 1919) granted the Carpathian Ruthenians autonomy, which was later upheld to some extent by the Czechoslovak constitution. Some rights were, however, withheld by Prague, which justified its actions by claiming that the process was to be a gradual one; and Ruthenians representation in the national sphere was less than that hoped for. After the Paris Peace Conference, Transcarpathia became part of Czechoslovakia. Whether this was widely popular among the mainly peasant population, is debatable; clearly, however, what mattered most to Ruthenians was not which country they would join, but that they be granted autonomy within it. After their experience of Magyarization, few Carpathian Rusyns were eager to remain under Hungarian rule, and they desired to ensure self-determination. According to the Czechoslovak Constitution of 1920, the former region of Kingdom of Hungary, Ruthenian Land (Ruszka Krajna), was officially renamed into Subcarpathian Ruthenia (Podkarpatská Rus). In 1920, the area was used as a conduit for arms and ammunition for the anti-Soviet Poles fighting in the Polish-Soviet War directly to the north, while local Communists sabotaged the trains and tried to help the Soviet side. Zatkovich was appointed governor of the province by Masaryk on April 20, 1920 and resigned almost a year later, on April 17, 1921, to return to his law practice in Pittsburgh, Pennsylvania, USA. The reason for his resignation was dissatisfaction with the borders with Slovakia. His tenure is a historical anomaly as the only American citizen ever acting as governor of a province that later became a part of the USSR. In 1928, Czechoslovakia was divided into four provinces and one of them was Sub-Carpathian Rus. In the period 1918-1938 the Czechoslovak government decided to bring the very undeveloped region (70% of population illiterate, no industry, herdsman way of life) to the level of Czechoslovakia. Thousands of Czech teachers, policemen, clerks and businessmen went to the region. The Czechoslovak government used a lot of money to build thousands of kilometres of railways, roads, airports, hundreds of schools and residential buildings. While it was the Rusyns themselves who had arrived at the decision to join the Czechoslovak state, it is debatable whether their decision had any influence on the outcome. At the Paris Peace Conference, several other countries (including Hungary, Ukraine and Russia) laid claim to Carpathian Rus. The Allies, however, had few alternatives to choosing Czechoslovakia. Hungary had lost the war and therefore gave up its claims; Ukraine was seen as politically unviable; and Russia was in the midst of a civil war. Thus the Rusyns' decision to become part of Czechoslovakia can only have been important in creating, at least initially, good relations between the leaders of Carpathian Rus and Czechoslovakia. The Ukrainian language was not actively persecuted in Czechoslovakia during the interwar period unlike in the three other countries with a large Ukrainian population (Soviet Union, Poland and Romania). Nevertheless, 73 percent of local parents voted against Ukrainian language education for their children in a referendum conducted in Sub-Carpathian Rus in 1937. In November 1938, under the First Vienna Award—a result of the Munich Agreement—Czechoslovakia ceded southern Carpathian Rus to Hungary. The remainder of Carpathian Rus received autonomy, with Avhustyn Voloshyn as prime minister of the autonomous government. Following the Slovak proclamation of independence on March 14, 1939 and the Nazis' seizure of the Czech lands on March 15, Carpatho-Rus declared its independence as the Republic of Carpatho-Ukraine, with Avhustyn Voloshyn as head of state, and was immediately occupied and annexed by Hungary. On March 23 Hungary annexed further parts of eastern Slovakia bordering with the west of the former Carpatho-Rus. In the fall of 1944 when the north and eastern parts of Carpatho-Rus were captured by the Red Army, the Czechoslovak government delegation led by minister František Němec arrived in Khust to establish the provisional Czechoslovak administration, according to the treaties between the Soviet and Czechoslovak governments from the same year. However, after a few weeks, the Red Army and NKVD started to obstruct the delegation's work and the "National committee of Transcarpatho-Ukraine" was set up in Mukachevo under the protection of the Red Army. On November 26 this committee, led by Ivan Turyanitsa (a Rusyn who deserted from the Czechoslovak army) proclaimed the will of Ukrainian people to separate from Czechoslovakia and join the Soviet Ukraine. After two months of conflicts and negotiations the Czechoslovak government delegation departed from Khust on February 1, 1945, leaving the Carpathian Ukraine under Soviet control. After World War II, on 29 June 1945, Czechoslovakia signed a treaty with the Soviet Union, officially ceding Carpatho-Ukraine. On October 25, 2008, 100 delegates to the Congress of Carpathian Ruthenians declared the formation of the "Republic of Carpathian Ruthenia". The Ukrainian nationalist Svoboda Party responded by releasing the following statement: "Zakarpattian separatists led by Moscow Patriarchate priest Sidor are issuing an ultimatum to the Ukrainian authorities today. Tomorrow, armed with Russian passports and money from the Kremlin, they will implement the ‘Georgian scenario’ in Ukraine." The party called on President Viktor Yuschenko and Prime Minister Yulia Tymoshenko to issue a political assessment of the actions in Zakarpattia and Crimea, called on the National Security and Defense Council to draft a plan to restrict separatist actions, and called on the Foreign Affairs Ministry to declare all the citizens that participated in the October 25 congress as persona non grata in Ukraine. The prosecutor’s office of Zakarpattia region has filed a case against priest Dymytrii Sydor and Yevhen Zhupan, an Our Ukraine deputy of the Zakarpattia regional council and chairman of the People’s Council of Ruthenians, on charges of encroaching on the territorial integrity and inviolability of Ukraine. On May 1, 2009 National Union Svoboda blocked the holding of the third European congress of the Carpathian Ruthenians. Carpathian Ruthenia is inhabited mainly by people who self-identify as Ukrainians, many of whom may also be considered Ruthenian-speakers (Rusyns who may refer to themselves and their language as Rusnak or Lemko). Places inhabited by Rusyns also span adjacent regions of the Carpathian Mountains, including regions of present-day Poland, Slovakia, Hungary, and Romania. Ruthenian settlements exist in the Balkans as well. 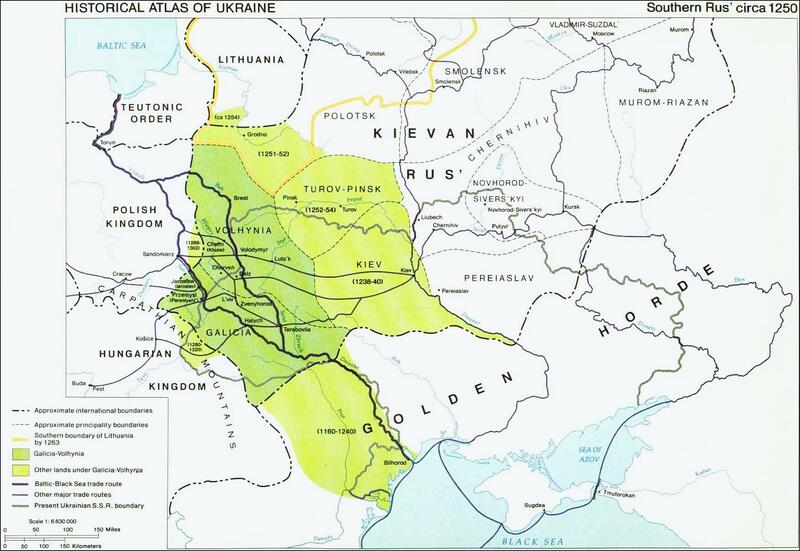 The area of present-day Transcarpathia was probably settled by Slavic tribes in the 4th or 5th century. There is no information whether local population was distinct from the population of the areas north of the Carpathian Mountains. 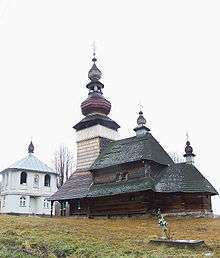 Between the 12th and 15th centuries, the area was probably colonized by Eastern Orthodox groups of Vlach highlanders with accompanying Ruthenian populations. All the groups, including local Slavic population, blended together creating distinctive culture from main Ruthenian-speaking areas. Over the time, because of geographical and political isolation from the main Ruthenian-speaking territory, the inhabitants developed distinctive features. In the 19th and 20th centuries, Transcarpathia was an area of continuous struggle between pro-Ukrainian and pro-Russian activists. The former asserted that the Carpatho-Ruthenians were part of the Ukrainian nation, while the latter claimed them to be a separate ethnicity and nationality from the Ukrainians, a part of the Russian ethnos. 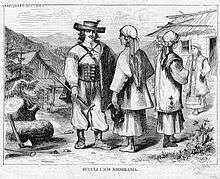 In the 19th century and the first part of the 20th, the inhabitants of Transcarpathia continued to call themselves "Ruthenians" ("Rusyny"). After Soviet annexation the ethnonym "Ukrainian", which had replaced "Ruthenian" in eastern Ukraine at the turn of the century, was also applied to Ruthenians/Rusyns of Transcarpathia. Most present-day inhabitants consider themselves ethnically Ukrainians, although in the most recent census 10,100 people (0.8%) identified themselves as ethnically Rusyn. On 7 March 2007, the Zakarpattia Oblast Council recognized the Rusyn ethnicity. Transcarpathia was a part of the medieval Kingdom of Hungary from the 11th century. From 1526, the region was divided between the Habsburg Kingdom of Hungary and Eastern Hungarian Kingdom, while from 1570, it was divided between the Habsburg Kingdom of Hungary and the Principality of Transylvania under Ottoman suzerainty. In the 17th century (until 1648) the entire region was part of Transylvania, and between 1682 and 1685, its north-western part was administered by the vassal Ottoman Principality of Upper Hungary of the prince Imre Thököly, while south-eastern parts were administered by Transylvania. Since 1699, the entire region was part of the Habsburg Monarchy and was divided between the Habsburg Kingdom of Hungary and the Habsburg Principality of Transylvania. Later, the entire region was included into the Habsburg Kingdom of Hungary. After 1867, the region was administratively included into Transleithania or Hungarian part of Austria-Hungary. At the beginning of the 20th century, the nobility and middle class in the region was mostly Hungarian-speaking. After World War I, the Austro-Hungarian Monarchy was dissolved and Transcarpathia was included into Czechoslovakia; the 1910 Austro-Hungarian census shows 185,433 speakers of Hungarian language, while the Czechoslovak census of 1921 shows 111,052 ethnic Hungarians and 80,132 ethnic Jews, many of whom were speakers of Hungarian language. Much of the difference in these censuses reflects differences in methodology and definitions rather than a decline in the region's ethnic Hungarian (Magyar) or Hungarian-speaking population. According to the 1921 census, Hungarians constituted about 17.9% of the region's total population. On the eve of World War II, the First Vienna Award allowed Hungary to annex Transcarpathia. The pro-Nazi policies of the Hungarian government subsequently resulted in extermination and emigration of Hungarian-speaking Jews, and other groups living in the territory were decimated by war. The end of the war had a significant impact on the ethnic Hungarian population of the area: 10,000 fled before the arrival of Soviet forces. Many of the remaining adult men (25,000) were deported to the Soviet Union; about 30% of them died in Soviet labor camps. As a result of this development since 1938, the Hungarian and Hungarian-speaking population of Transcarpathia was recorded differently in various censuses and estimations from that time: 1930 census recorded 116,548 ethnic Hungarians, while the contested Hungarian census from 1941 shows as much as 233,840 speakers of Hungarian language in the region. Subsequent estimations are showing 66,000 ethnic Hungarians in 1946 and 139,700 in 1950, while the Soviet census from 1959 recorded 146,247 Hungarians. Memoirs and historical studies provide much evidence that in the nineteenth and early twentieth centuries Rusyn-Jewish relations were generally peaceful. In 1939, census records showed that 80,000 Jews lived in the autonomous province of Ruthenia. Jews made up approximately 14% of the prewar population, however this population was concentrated in the larger towns, especially Mukachevo, where they constituted 43% of the prewar population. During the Holocaust, 17 main ghettos were set up in cities in Carpathian Ruthenia, from which all Jews were taken to Auschwitz for extermination. Ruthenian ghettos were set up in May 1944 and liquidated by June 1944. Most of the Jews of Transcarpathia were killed, though a number survived, either because they were hidden by their neighbours, or were forced into labour battalions, which often guaranteed food and shelter. 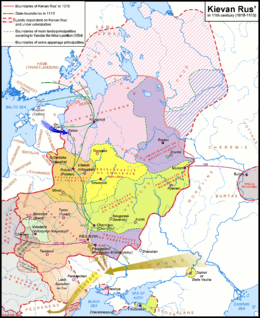 See History of Germans in Russia and the Soviet Union for information about Carpathian-German (mainly German-speaking Bohemian, Moravian German and Saxon/Low German from middle and eastern Germany) settlement in the 16th to 18th centuries. Czechs in Carpathian Ruthenia are ethnoculturally distinct from other West Slavic groups like the Slovaks, as they originated from Czech-speaking groups from Bohemia and Moravia instead of Slovakia. There are approximately 25,000 ethnic Romani in present-day Transcarpathia. Some estimates point to a number as high as 50,000 but a true count is hard to obtain as many Romani will claim to be Hungarian or Romanian when interviewed by Ukrainian authorities. They are by far the poorest and least-represented ethnic group in the region and face intense prejudice. The years since the fall of the USSR have not been kind to the Romani of the region, as they have been particularly hard hit by the economic problems faced by peoples all over the former USSR. Some Romani in western Ukraine live in major cities such as Uzhhorod and Mukachevo, but most live in encampments on the outskirts of cities. These encampments are known as "taberi" and can house up to 300 families. These encampments tend to be fairly primitive with no running water or electricity. When Hungarian tribes passed from Galicia to Pannonia, they had to fight against local Vlachs and Slavs, according to Nestor chronicle and Anonymus chronicle. Anonymus wrote that the Orthodox country of Salanus, formed in vicinity of Galicia, Transilvania and Pannonia and inhabited by Slavs, Valachs and other tribes, had to fight many years against Hungarians. Finally the country of Salanus and the neighbor countries of Menumorut and Gelou had to surrender to new tribes. Today some 30,000 Romanians live in this region, mostly around the southern towns of Rahău/Rakhiv and Teceu Mare/Tiachiv and close to the border with Romania. Also known as Carpatho-Greeks and Greek-Carpathians. Descendants of Armenians who came and settled in the region in the 15th to 18th centuries. For urban European readers in the 19th century, Ruthenia was one origin of the 19th century's imaginary "Ruritania" the most rural, most rustic and deeply provincial tiny province lost in forested mountains that could be imagined. Conceived sometimes as a kingdom of central Europe, Ruritania was the setting of several novels by Anthony Hope, especially The Prisoner of Zenda (1894). ↑ Transcarpathia: Perephiral Region at the "Centre of Europe" (Google eBook). Region State and Identity in Central and Eastern Europe. Routledge. 2013. p. 155. ISBN 1136343237. ↑ "Subcarpathian Rus'/Podkarpats'ka Rus'". Retrieved 2007-06-10. ↑ A history of East Central Europe: East Central Europe in the Middle Ages, 1000-1500, Jean W. Sedlar, University of Washington Press, 1994, page 5. ↑ Our people: Carpatho-Rusyns and their descendants in North America, Paul R. Magocsi, Bolchazy-Carducci Publishers, 2005, page 5. ↑ Endangered peoples of Europe: struggles to survive and thrive, Jean S. Forward, Greenwood Publishing Group, 2001, page 132. ↑ Paul R. Magocsi. Ivan Ivanovich Pop. Encyclopedia of Rusyn history and culture. University of Toronto Press. 2002. p. 512. ↑ "Svoboda Party Calls On SBU To Launch Criminal Case Against Delegates To Congress Of Carpathian Ruthenians For Declaring Carpathian Ruthenia Republic". Retrieved 2008-11-06. ↑ "Prosecutors File Case Against People Who Initiated Proclamation Of Carpathian Ruthenian Republic On Separatism Charges". Retrieved 2008-11-06. ↑ Про кількість та склад населення Закарпатської області за підсумками Всеукраїнського перепису населення 2001 року [About the number and composition of the Transcarpathian oblast according to the results of the National Census of 2001] (in Ukrainian). Archived from the original on 30 April 2009. ↑ "News - 7 march 2007 - The activities of local government." (in Ukrainian). Retrieved 2008-12-28. ↑ "Rusyns Recognized as Indigenous Nationality of the Transcarpathian Oblast of Ukraine". Archived from the original on 2008-07-29. Retrieved 2008-12-26. 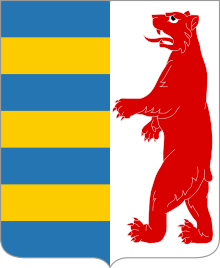 Wikimedia Commons has media related to Zakarpattia Oblast.